Located in the Board of Education Office in the Rocky Hill Town Hall, The Central Registration/Residency Office manages all new and returning student school registrations, student changes of address and magnet school sign-off forms. * To pre-register for 2019-2020 Pre-K and Kindergarten classes, please click here. * To pre-register for the 2018-2019 school year (all-grades), please click here. 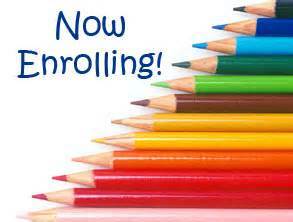 Please note: Grades PK3 and PK4 and grades 1 through 12 pre-registration began on May 1, 2018 and is open all summer so enroll early! Deadline to register for PK3 and PK4 Lottery has passed. Deadline was January 31, 2018. Pre-K lottery information available here. * To formally change a student’s address, please click here. * To formally change a student's bus routine, please click here. * To formally change a student's contact information, please click here. For questions or to schedule an appointment, please contact Thomas Kennison, Enrollment/Residency Officer, at (860) 258-7701 Ext. 1177 or via email here. For security reasons, your email address will need to be authenticated.